King Solomon has two important pieces of advice for a prosperous life: seek wisdom and avoid deceivers. That’s especially important in the brave new world of digital currencies, which have been struggling lately with credibility issues and a bit of an identity crisis. Now, a series of online scams targeting Bitcoin trading on major online exchanges PayPal and eBay may also snare users who have nothing to do with digital currencies at all. We’ve been bringing you the latest on the Bitcoin’s rocky road to acceptance for some time now. 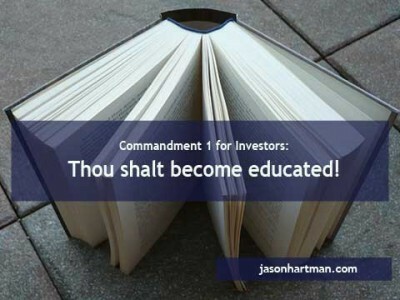 And since we’re all about investing, we’re all about keeping Jason Hartman’s very first commandment of successful investing: thou shalt become educated. So as digital currency makes deeper inroads into the larger economy, investors hoping to cash in (pun intended) on the Bitcoin phenomenon may get snared by one of the ongoing Bitcoin scams targeting people who use leading online marketplaces and payment services to buy and sell digital currency. The future is getting murkier for the Bitcoin and other new currencies like it such as the Peercoin, Litecoin and Dogecoin. The digital currency world has been rocked by scandal after scandal, from its connection to the drug site Silk Road to the arrest of a Bitcoin exchange executive and the recent shutdown of another major Bitcoin exchange. Now, Bitcoin users and speculators in digital currency are stepping outside the dedicated exchanges to trade and conduct transactions on online marketplaces such as eBay, or through secure payment services like PayPal. But users of those sites have been burned by scammers who are apparently hacking legitimate accounts on those sites. The scam works something like this: a seller hoping to cash in on the surging value of Bitcoins posts some for sale on eBay. A buyer responds, the deal is done and the transaction is conducted via PayPal. But then the transaction goes sour because neither Paypal nor eBay honors exchanges involving “intangible goods” – read “digital currency.” The transaction is cancelled and the buyer gets money back – but the seller doesn’t. And the buyers quickly disappear. The sites involved back away from accusations that their system might be hacked. But Paypal allows as how user accounts could be taken over by a third party and misused. In any case, accounts in violation of Paypal’s Terms of Service are taken down, and an eBay seller caught in this kind of iffy transaction can also face termination or poor ratings. The debate still continues about whether digital money is actually real money or, ironically, just a medium of exchange like Paypal itself, where two people mutually agree on the value of the things being swapped, like trading a car for a truck. But because Bitcoin and other currencies like it seem to behave like “real” money and are being increasingly used for large scale items such as real estate, the potential for these currencies to flatten or vanish altogether is very real. The Bitcoin: New Currency for Cyber Crime? Online Auctions: Risky or Prudent for Investors?